There are few shortcuts to feeling famous, but slipping behind the wheel of a famous (or infamous) car may be one of them. You can get to Carnegie Hall via practice; but in a celebrity car, the route to stardom becomes the journey itself. Cars driven by a celebrity and/or starring in a movie provide a special thrill for the car collector, elevating the commute and drawing recognition (along with gasps) in parking lots. Alongside the rise of roadsters in the 1960s, the “celebrity car” also came of age—often in a rare, richly appointed collectible. What’s the effect of celebrity upon a value of the common car? Consider that Herbie, from The Love Bug, commanded a record-shattering $126,000 for a Volkswagen Beetle. And when you add the element of rarity, the collectible car becomes a bona fide investment. In 2015, The Economist reported that investing in rare cars has outperformed art, wine, coins, and stamps; but also the world’s major stock markets. And expert say collectible cars are a sound investment, due to the potential of appreciation that accrues with a pop-culture fixture. The trend of using vehicles as stars in television series began with the Batmobile, which began life as the 1955 Lincoln Future concept car, unveiled in prototype at that year’s Chicago Auto Show. Its features, housed in the steering wheel, included exterior microphones to pick up the sound of traffic (contrast this “perk” with today’s quiet luxury cabins!). 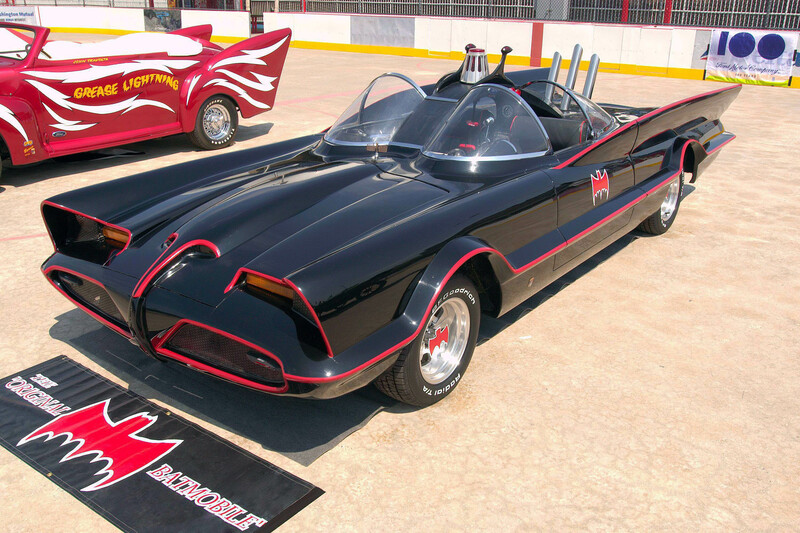 Prior to Batman, the Futura’s bright red exterior stole the limelight in the film It Started With a Kiss. In 2013, it sold for over $4 million in Scottsdale, Arizona. When the stars are aligned for a car, there is always the possibility of the car stealing the limelight. Cars will always be a part of Hollywood and trends will continue to be set by the big screen! 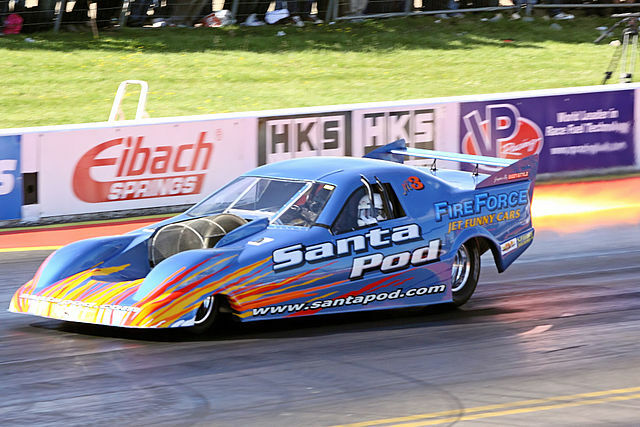 The Funny Car has a serious pull upon car culture and drag racing, where it represents a legitimate racing class that’s still grabbing headlines today. Resembling “oversized stock cars,” according to ESPN, Funny Cars have their roots in “Altered Wheelbase Experimental” cars, or A/FX, whose rear (and sometimes front) wheels were relocated forward on the chassis, shifting the center of gravity to the rear. In racing, this transfer of horsepower to the back wheels along a shortened wheel base enhanced traction as the car moved down the track—trading equilibrium for a burst of manic power. The modifications lent the car a non-standard, or “funny,” appearance. Nostalgia for the golden days of drag racing has prompted a resurgence of interest in Funny Cars—often vintage-style bodies mounted on modern frames. Today’s top Funny Car engines burn fuel at roughly the rate of a 450-ton Boeing 747 jumbo jet. The four official Funny Cars represented in the National Hot Rod Association (NHRA) are the Chevrolet Camaro, Dodge Charger, Ford Mustang, and Toyota Camry. There is nothing funny about these cars as they have serious power in how they are built and how they are still relevant. Something funny happened on the way to a drag race, a well-built car that has the captured the imagination of every car lover! Sometimes a cigar is just a cigar; sometimes it’s a record-breaking race car. 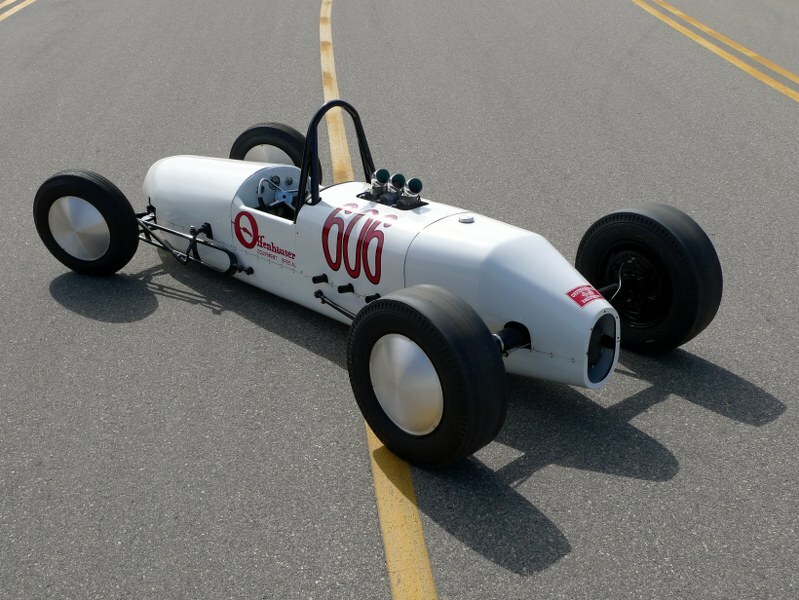 Such is the case with the Smokin’ White Owl, the distinctively-shaped dragster conceived and built by Ollie Morris, Fred Offenhauser’s chief engineer, in 1954. It was smokin’ not just in shape, but in speed—thanks to its aerodynamic body and Chevrolet V8 engine—and set Offenhauser on the fast track to success. George “Ollie” Morris served in the Navy during World War II. Because he wasn’t able to afford college, he took night courses that focused on math, physics, and other aspects of engineering which he applied to repairing cars and modifying their parts. 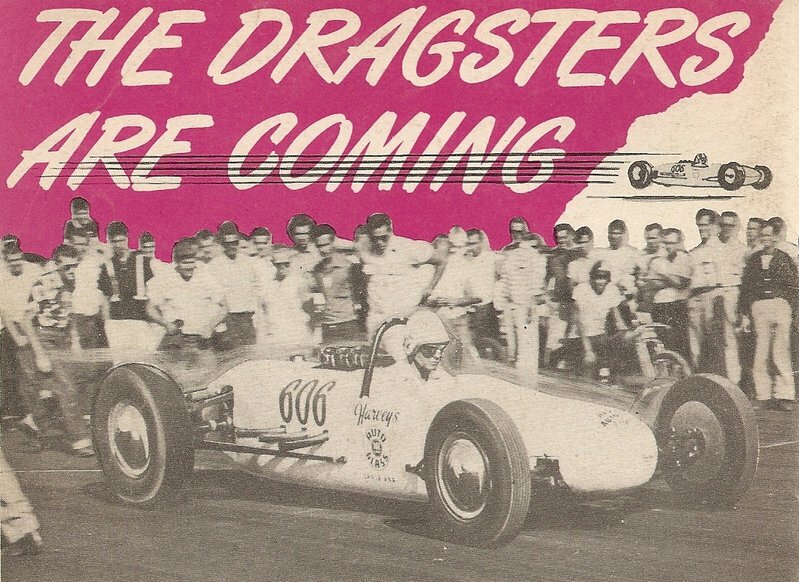 The Santa Ana drag strip’s opening in 1950 gave Ollie a new testing ground for his roadsters. He set a record two years later with a speed of 128 miles per hour – but a blown engine doused him in scalding oil. “I felt that it’d be a lot safer if the engine were situated behind me,” he reflected in the book Merchants of Speed (MBI, 2009). Radical for the time, but a mainstay of today’s market, this rear-engine design had a low chassis, welded aluminum body, and an open rear end to simplify access to quick-change gears. Originally painted white and sponsored by Harvey’s Auto Glass, the car got its signature name from its similarities in shape and color to a White Owl Cigar. With Ollie in the cockpit, the Smokin’ White Owl broke speed records in 1954 (145 miles per hour!) and quickly achieved “legend” status. And like many classics, it’s now enjoying a comeback that’s linked by generations. When the Smokin’ White Owl kept beating out Fred Offenhauser’s sponsored car, Fred dropped that car and began sponsoring the Smokin’ White Owl. 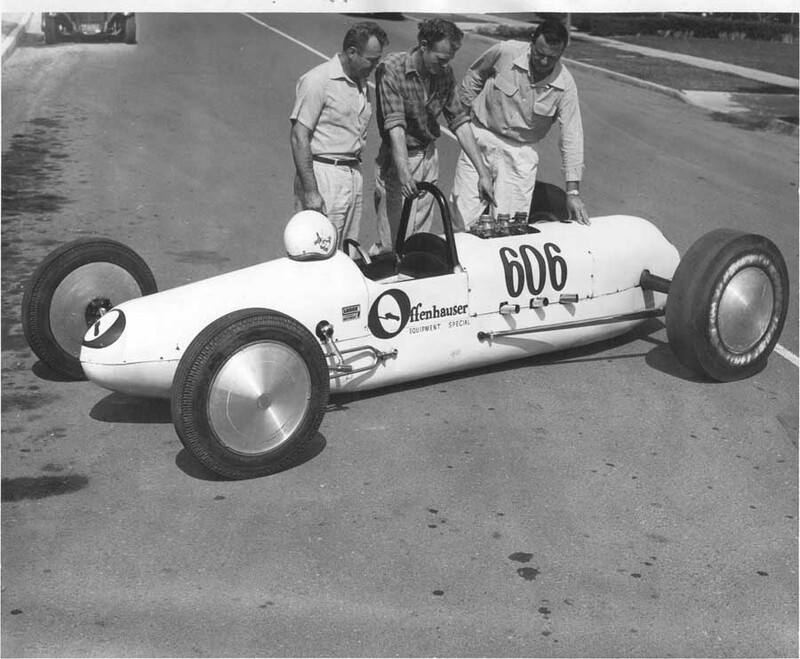 Fred’s thinking was “if you can’t beat ’em, join ’em!” During the early to mid 1950’s, sponsored drag cars were very rare. Most racers had to pay their own way every weekend and a winning weekend at the track did not necessarily equate to a cash prize. No race had a purse and when a company sponsored a car they would only cover some of the fuel costs and maybe some of the food and lodging. Winners would typically receive a trophy and maybe some items given to the track by sponsors, but never money. 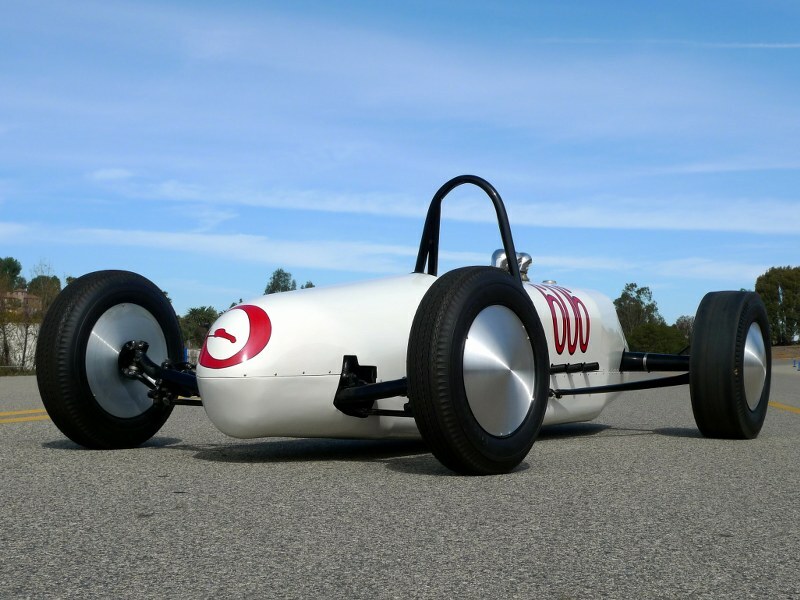 The Smokin’ White Owl originally ran a flathead Ford V8 and in 1955 it was the first drag car to use the Chevrolet V8. Morris ran the car with the Chevy V8 at the first US Nationals sponsored by NHRA in Great Bend, Kansas. Morris never lost a race at the Nationals. The final day of racing was rained out so officials rescheduled the finals for a few weeks later in Arizona. Ollie’s was one of the final four cars. Fred Offenhauser did not want to pay to have the car, and crew, run in Arizona so Morris did not show up, forfeiting his first race. In 2002, Ollie and his grandson Dan began to rebuild the Smokin’ White Owl, but, sadly, Ollie passed away in 2008 before it could be completed. “He was a living legend to me,” wrote Dan on his blog (jalopyjournal.com). With that, the hot rodder and former owner of Exeter Auto Supply in California commissioned Hot Rods & Custom Stuff to continue with the rebuild in honor of his grandfather. 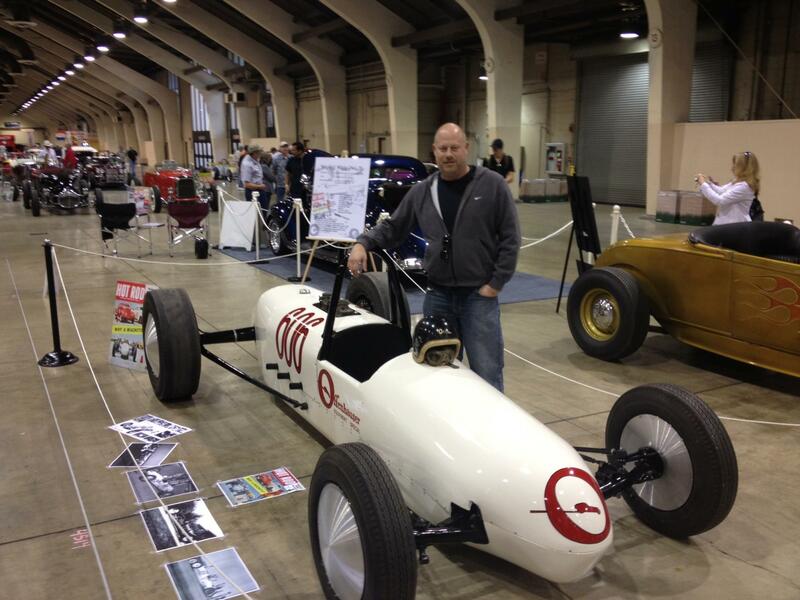 Dan currently owns White Owl Speed Equipment which he named in honor of his grandfather and the racer. 60 years later, with the White Owl painstakingly rebuilt – down to the chassis, white paint, and number 606 – Dan Marvin occupies his grandfather’s spot, tending to the cigar’s historic flame. Our cars speak volumes about our values. They’re better than ever. Major players like Consumer Reports have flagged a number of domestic cars as superior to foreign-made cars from Toyota. And style-wise, American cars have gotten some jaw-dropping upgrades and makeovers: check out the Chevy Camaro, Ford Mustang and Chrysler Dodge Challenger. The price is right. Foreign-made cars used to capitalize on cheaper labor and materials for a lower price; and American cars had a reputation as oversized gas-guzzlers, with prices to match. Yet as the economy has turned, American cars are proving to be less expensive than their foreign counterparts—and domestic carmakers are diversifying to appeal to the hearts, minds and budgets of the average American. Domestic automakers have begun to “go green” by offering a greater selection of gas-electric hybrids and increased efficiency for gas-only models. Plus, because Detroit understands it has to work harder to earn your business, they price their models well under similar models from Toyota or Honda. They protect your assets. And not just with airbags! Incentives are now cropping up to offer peace of mind. For example, GM and Ford have rolled out payment protection plans at no extra charge to cover monthly payments in the event of job loss. They rev our economy. Buying American could save current jobs, create future ones, boost technology, and fuel a resurgence. We’ve been “Made in America” since 1946! 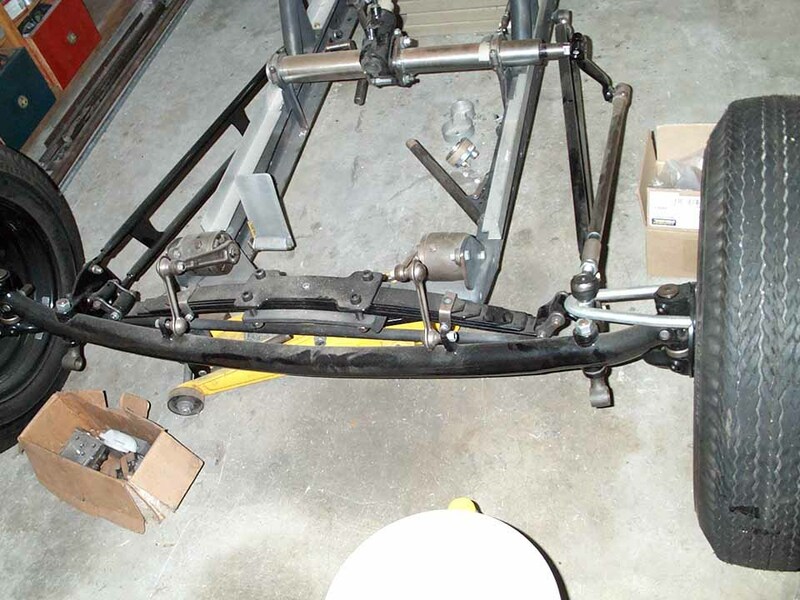 Our exceptional auto parts (offenhauser.co) are made and hand-minted in California from the highest quality Golden State alloys. We’re an international leader—and proudly domestic!